When it comes to living off passive income in retirement, two of the most popular investments are dividend stocks and bonds. While both types of investments can be highly useful in funding living costs during your golden years, there are important differences between these two asset classes. This guide will look at these differences, both positives and negatives, to hopefully help you decide on what mix of dividend stocks and bonds is right for you. 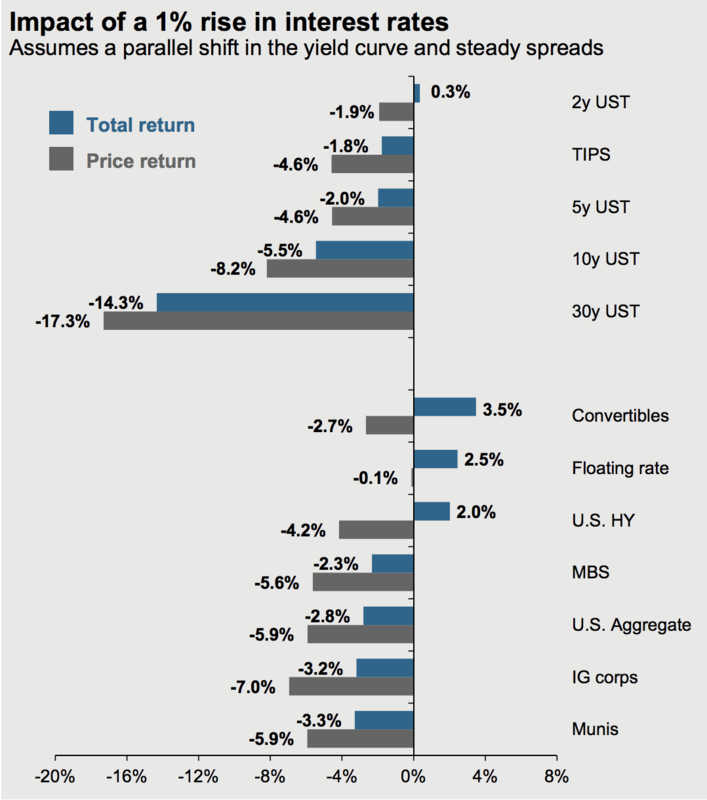 Bonds are the one of the oldest (second only to gold) and largest asset classes. At the end of 2017, the global bond market totaled about $110 trillion, according to JPMorgan Asset Management. Most bonds are fixed rate investments (usually sold in increments of $1,000 or greater) in which corporations or governments borrow from investors for a set rate of time, with a promise of repaying the principal in the future. During the duration of a bond, investors receive fixed interest payments (called coupon payments) which are paid as often as each month or as infrequently as once per year. As long as the entity issuing a bond repays it in full and makes each interest payment, the bond investor earns a set, predictable rate of return. Note that bonds, like stocks, trade on markets and thus their prices fluctuate above or below par value depending on supply and demand. A bond that is trading at below par value when you buy it raises your effective yield (i.e. your yield is higher than the bond's initial coupon rate), while a bond trading above par value reduces your effective yield. While your broker can help you invest in individual bonds, usually the simplest method of investing in these fixed income assets is through a diversified index mutual fund or exchange traded fund such as the: Vanguard Intermediate-Bond Fund (BIV), Vanguard Total International Bond Fund (BNDX), or Vanguard Long-Term Bond Index Fund (VBLTX). Dividend stocks are companies that pay dividends or distributions to investors who own a part of the business. Dividends are paid out of a company's profits, after it has made interest payments on any outstanding debt and reinvested back into the business. Dividend stocks can either be structured as corporations or as pass-through entities (REITs, MLPs, BDCs, LPs), which have several important implications, especially when it comes to taxes. You can read a number of detailed reports on how to invest in all these different income stock types and their relevant tax guides here. In essence, investing in dividend stocks means you are taking an ownership stake in a company whose goal is to grow its income-producing assets and thus cash flow over time. Along the way, dividend stocks usually grow their payouts to investors, resulting in rising income and usually higher share prices over the long term to generate healthy total returns. Investing in dividend stocks is usually easier than bonds, since you can buy them in increments of as little as one share through your broker (some brokers such as Robinhood offer unlimited commission free trades). In addition, there are numerous mutual funds, exchange traded funds, and closed-end funds that allow you to invest in almost any combination or type of dividend stock. This includes ETFs that focus on the safest blue chips. For example, the Proshares S&P 500 Dividend Aristocrat ETF (NOBL) covers dividend aristocrats (S&P 500 companies with 25+ consecutive years of dividend increases), and Vanguard's Dividend Appreciation ETF (VIG) invests only in dividend achievers (10+ years of consecutive rising dividends). Now that we know the basics behind what bonds and stocks are, let's look at the key differences between them. Specifically, the characteristics that determine what mix of these asset classes is best for you to use during retirement. As you can see below, there are a number of major differences between bonds and dividend stocks. The most important differences between stocks and bonds are due to their respective positions in the capital stack, which is comprised of the total capital invested in a business. Capital stacks usually include common equity, preferred equity, mezzanine debt, and senior debt. Each level possesses its own risk profile and total return potential. In general, bonds are the most senior form of capital an organization has, meaning that these obligations get paid first. Thus bonds are considered "senior" to all forms of equity, with preferred equity coming second, and common equity (which encompasses dividend stocks) coming last. Bonds usually have low default rates, especially for bonds issued by stable, developed governments. Corporate bonds similarly have low default rates, with higher credit ratings (BBB- or above) having little risk of default. Even junk bonds (high-yield bonds) usually have relatively low default rates, including under 4% over the past 30 years and a peak default rate of 18% during the Financial Crisis. As a result, bonds are considered lower risk income investments, which unfortunately also means that they tend to offer relatively lower yields and returns than many dividend stocks. On the plus side, bonds tend to be much less volatile than stocks, though not always. That's because a downside of bonds is that since their coupon rate is (usually) fixed, they have a large amount of interest rate sensitivity. Unlike dividend stocks, which often grow their dividends faster than inflation, fixed rate bonds have no inflation protection. When inflation expectations rise, long-term interest rates tend to rise with them (investors demand a higher yield to compensate them for higher expected inflation). As a result, bond prices fall so that the effective yield (coupon payments/bond price) matches the prevailing interest rate for that type of bond. If you need to sell a bond before maturity and rates rise, you can lose money. The interest rate sensitivity of bond prices depends on what's called the "duration" of the bond. Duration is mostly a factor of how long the bond has left to maturity. As you can see below, the longer the duration of a bond, the more its price can fall for every 1% increase in interest rates. As of early 2018, this means that 30-year U.S. treasury bonds are the most interest rate sensitive with a 1% spike in long-term interest rates expected to result in a 17.3% decline in price and a -14.3% total return. On the other hand, shorter duration bonds, such as the 2-year Treasury, would fall much less and still be expected to generate slightly positive total returns. So if bonds are so rate sensitive, why do many retirees still invest in them? Allocating part of a portfolio to bonds can reduce volatility to help investors stay the course throughout inevitable market downturns. 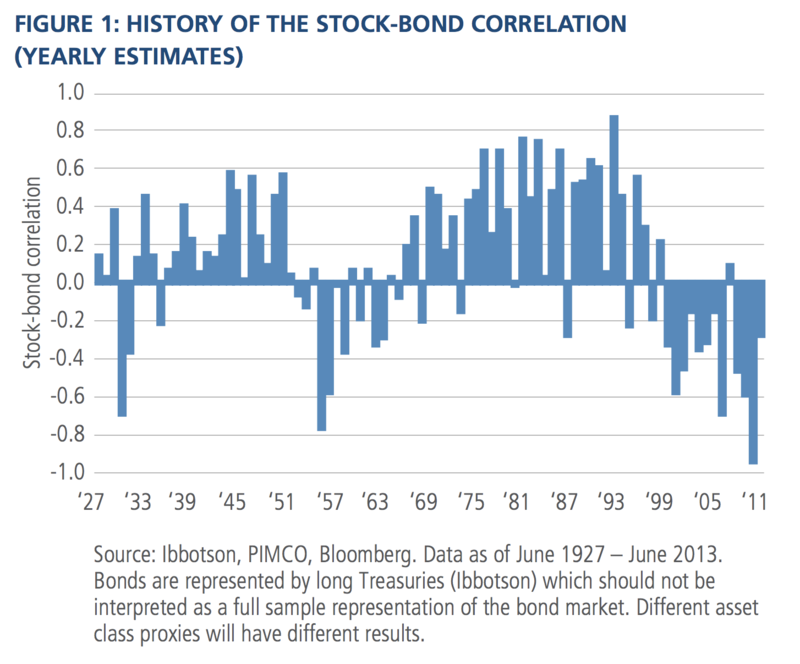 As you can see, Treasury bonds can provide diversification benefits since many of them have historically had low or even negative correlation with stocks over time. In other words, assuming this relationship continues to hold in the future, if the S&P 500 were to fall into a correction, then U.S. treasury bonds would be expected to decline much less or potentially even appreciate in value. Owning some bonds helps reduce a portfolio's drawdown to soften the blow its equity investments. Of course, there is an important reason that even many conservative investors, including those already retired, still want to own dividend stocks. That's because stocks have historically been the best performing asset class of all over the long term, helping investors reduce the risk of outliving their retirement nest egg. Since 1900 stocks have generated annualized total returns and inflation-adjusted annualized total returns of 9.6% and 6.5%, respectively, according to Credit Suisse. That's compared to 4.9% and 2.0% for bonds over the same time periods. Dividend-paying stocks have an equally impressive long-term track record, with S&P 500 companies paying dividends delivering a 9.25% annualized return from 1972 through 2017. That being said, dividend stocks still usually have higher price volatility than bonds, which can make many conservative retirees feel nervous. Thus most retirement portfolios are allocated to a mix of dividend stocks and bonds. But what's the right asset allocation for you? What's the Right Mix of Dividend Stocks and Bonds in Retirement? Determining the right asset allocation for your retirement portfolio is a deeply personal decision that is best made with the assistance of a fee-based financial advisor who is a fiduciary (meaning they are required by law to put your interests above their own). The table below demonstrates the tradeoff between risk and reward. As you can see, a portfolio that holds more in stocks has historically delivered far superior annual returns, but it is also more likely to incur short-term losses (sometimes severe) that can make it more difficult for an investor to stay in the game without panicking. Large drawdowns are scary, especially in retirement when you don't have an income stream from a full-time job and time is no longer on your side to help rebuild the value of your account. However, that's not necessarily a reason to "play it safe" by investing primarily in bonds. In fact, during Berkshire Hathaway's 2018 shareholder meeting Warren Buffett remarked, "Long-term bonds are a terrible investment at current rates and anything close to current rates." Why the hate for long-term bonds? 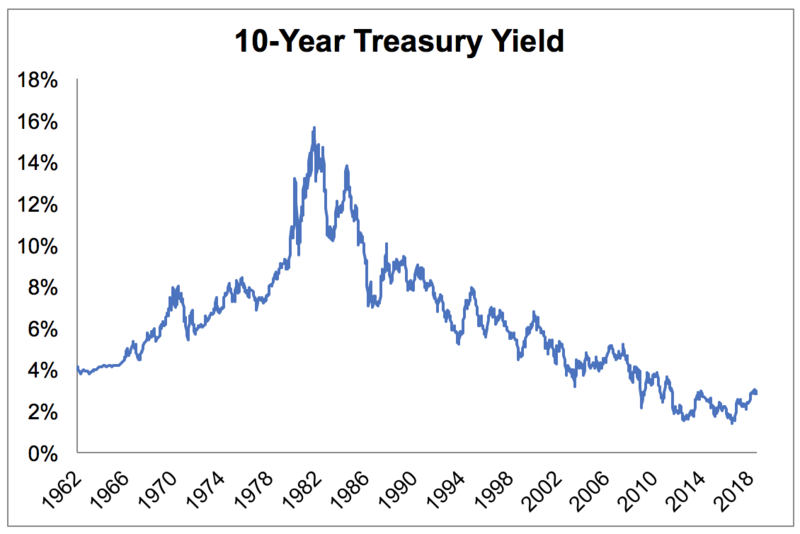 As you can see, the yield on a 10-year Treasury remains near an all-time low at about 3%. As Buffett explained, interest income paid by these bonds is taxable at the Federal level, so their after-tax yield is about 2.5% today. It’s hard to disagree when you consider that long-term stock returns are close to 10% per year, and, unlike bonds, dividend stocks grow their payouts. Most of the asset allocation models out there are driven by backtested results capturing a period of time where bond yields were exceptionally strong. The yield on a 10-year Treasury note exceeded 15% in the early 1980s, and bond prices performed very well over the ensuing decades (yields fall when prices rise), providing an extra boost to returns. Over the next few decades, bond returns are likely to be abysmal compared to this period of time, especially if interest rates and inflation rise. If a retiree is overly cautious and invests too heavily in bonds, the risk of outliving one's nest egg could rise. In other words, without the superior compounding power of stocks, the typical retiree has little chance of being able to enjoy a comfortable retirement. If you can tolerate higher price volatility, then one option that some investors use to is maintain several years worth of living expenses (adjusted for Social Security and/or private pension benefits) and then stay mostly invested in a quality, diversified high-yield portfolio of dividend stocks. Historically, bear markets (when stocks fall 20+%) see stocks decline an average of 30% and recover within two years or less. Thus maintaining a few years worth of cash equivalents means you can likely ride out large market downturns (without having to sell at low prices) while still enjoying the income these stocks generate. When the bear market ends and the next bull market begins, your portfolio will continue growing quickly and help you continue building your nest egg even if you're already retired. For more risk averse investors who can't stand to see even temporary paper losses, most financial advisors recommend a 60/40 mix of stocks and bond ETFs, which is similar to the asset allocation used by many large institutional investors such as pension funds and insurance companies. This mix will provide you with less volatility during a correction or bear market to help you stay the course. While returns will also be lower, they have historically still been enough to more than offset inflation. Even with this strategy it might be a good idea to maintain a few years worth of cash to cover your expenses to avoid having to sell during times when stock prices are depressed. What if you're fortunate enough to have a large nest egg, on the order of $750,000 or more? In that case, you have far more flexibility in your capital allocation decisions. That's because, in general, the 4% rule will be sufficient to cover your expenses throughout a 30-year retirement. Thus you merely need to maintain your purchasing power (offset inflation) in order to likely avoid running out of money. For such retirees you have several options, and the best one for you will depend on your individual personality and risk tolerances. If you are comfortable with price volatility, then you can potentially maintain a pure high-yield dividend growth portfolio, made up almost exclusively of blue chip dividend stocks. The idea here is that if you can achieve sufficient passive income in retirement from these safe and growing dividends (3% to 5% yield is possible with the right stock selection), then combined with Social Security and/or private pensions, you can live entirely off recurring and growing passive income. In other words, with a large enough nest egg invested in a well-constructed high-yield income growth portfolio, you never have to sell a single share to fund your retirement expenses. Thus your standard of living during your golden years becomes independent of fickle stock prices. Even a 50% market crash won't hurt your personal finances, so long as your safe and growing dividends continue rolling in uninterrupted and continue growing faster than inflation over time. For those who have sufficiently large retirement portfolios but just can't stomach large price swings (even if it doesn't affect your actual dividend income), you can always augment a high-yield dividend growth portfolio with some mix of bond ETFs or mutual funds to achieve lower volatility. Again, consult a fee-based, fiduciary financial advisor to determine exactly what mix of stocks and bonds is optimal for you if this describes your risk profile. There is no 100% objectively correct way to construct a retirement portfolio that works for everyone. Both bonds and dividend stocks are income-producing assets classes that each have their own strengths and weaknesses. Thus the optimal mix of bonds and dividend stocks for your retirement portfolio will depend on numerous personal factors including: the size of your retirement saving, your expected retirement duration, health, lifestyle, and personal risk tolerances. While over the long term dividend growth stocks have proven to be one of the best asset classes to generate growing income and preserve wealth, a pure high-yield dividend growth retirement portfolio is not right for everyone. Despite their weaker outlook for long-term returns, bonds can add a critical ballast to a retirement portfolio by reducing drawdowns. That's arguably well worth the reduced return if it's the factor that helps an investor stay in the game rather than sell everything and run for the hills. Given the importance of this decision, consulting a fee-only, fiduciary financial advisor to help craft a detailed and long-term retirement portfolio asset allocation strategy that works best for your individual needs can help. Just make sure to ask the tough questions about the long-term return potential of bonds and the potential flexibility and peace of mind a dividend growth strategy can provide in retirement.